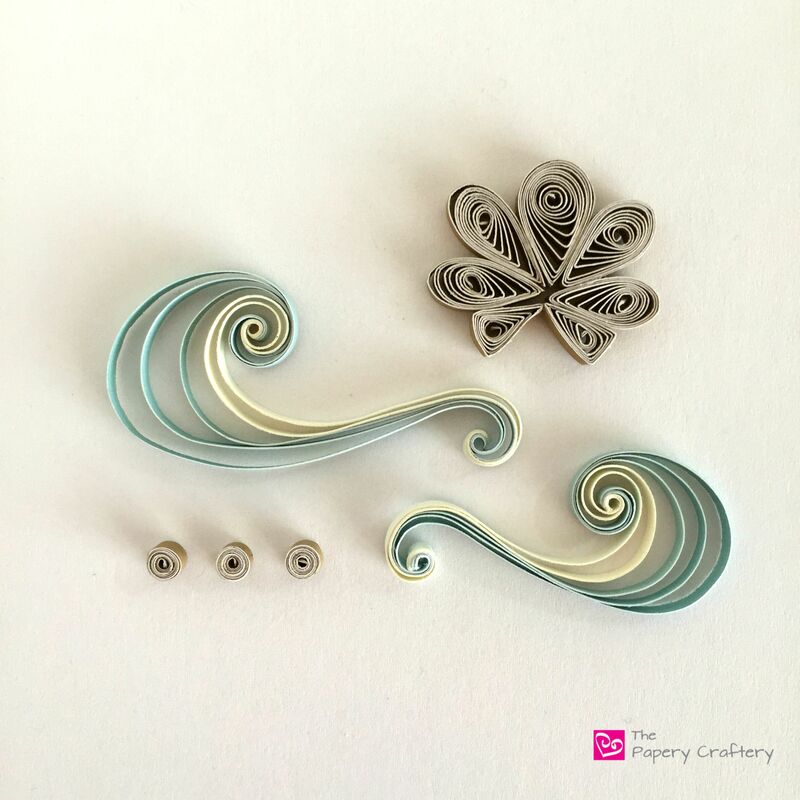 Not long ago I was approached to teach a quilling class for a local scrapbooking group. Because of my expertise (expert, me? what?!?! 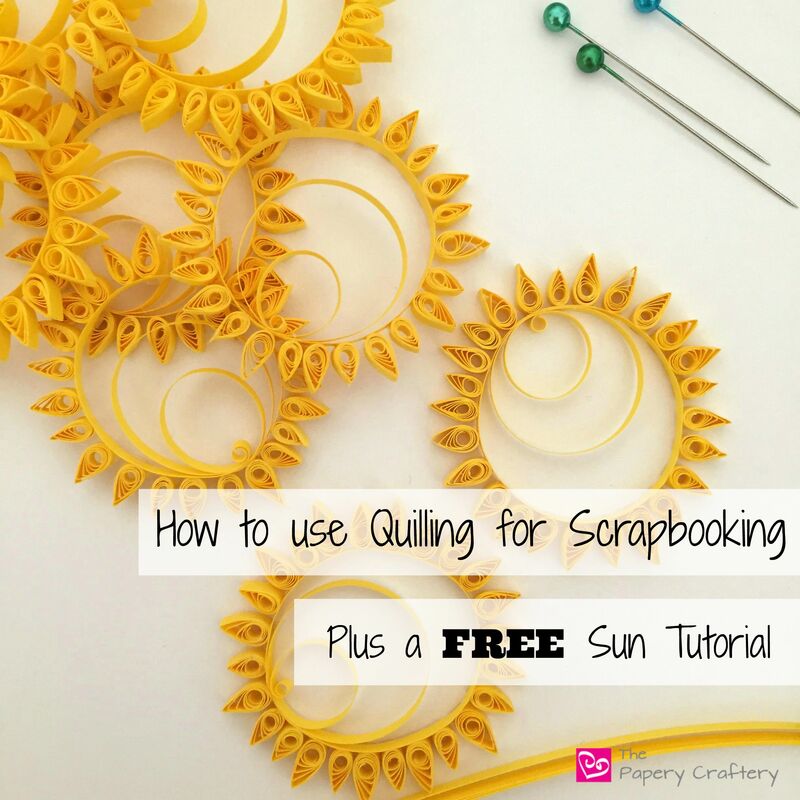 ), I was going to help this group of ladies learn a few basic quilling techniques to create some embellishments to jazz up their scrapbook pages. I was so excited, ya’ll! The original embellishment for class! I designed a simple idea to coordinate with the class’s monthly theme, which was Seaside. The best part of this new adventure was that I was also encouraged to create some extra embellishments that the ladies could purchase if they wanted to. They sold out in minutes! Who knew?!? Apparently these girls were itching for some new doodads for their pages. Then I was asked for more! This might be a whole new line for my business! What I’m calling “minis” since they’re each between 1″-2″. And since I was using 1/8″ paper, the finished minis didn’t stick up too far off the pages in the scrapbook albums. Probably not too much higher than most commercially made scrapbooking accessories. Red coils waiting to become red crab minis! The crab minis seemed to be the most popular, but I created a few strawberries and some suns, too. 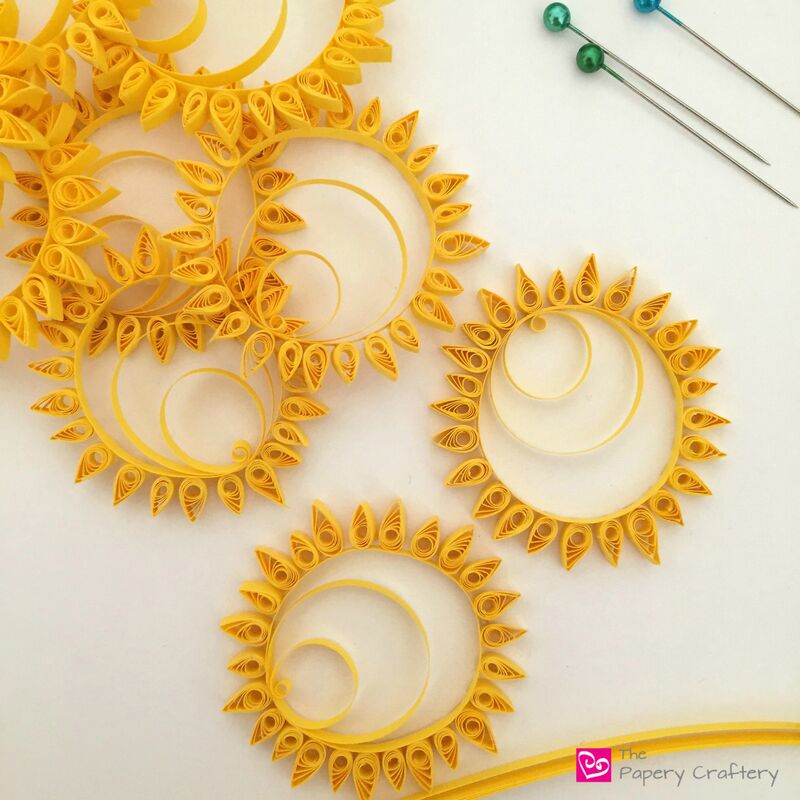 The sun minis have some similar techniques to my quilled citrus fruit, with a few different twists (quilling pun, giggle). 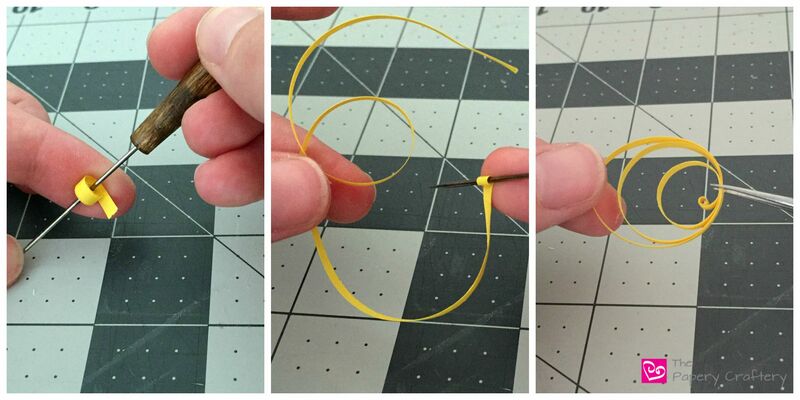 To start, I roll an 8 inch strip of yellow quilling paper. Then, I stretch it almost all the way out again to make really open coils, and shape it back into the shape I want before I add a few tiny glue dots. 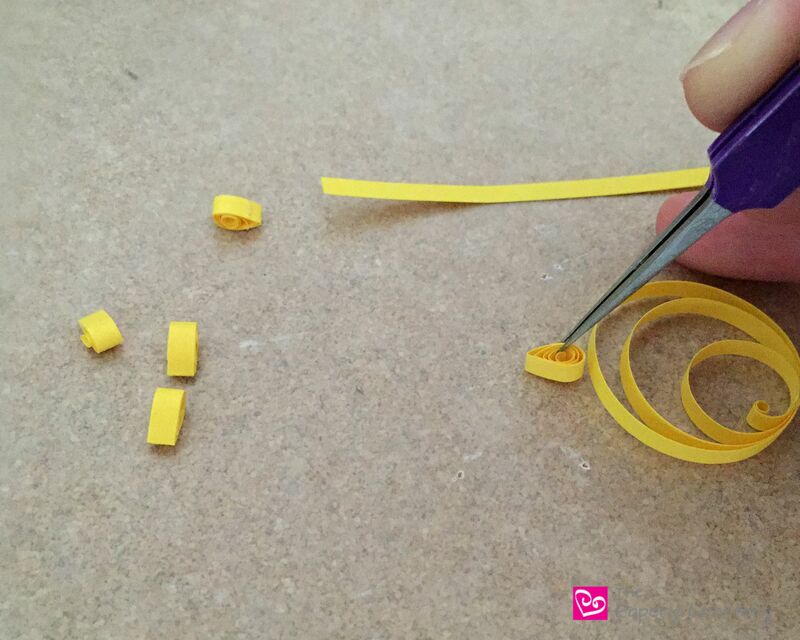 For the sun rays, I used alternating teardrops made from 3 inch and 4 inch yellow strips. After gluing the rays all the way around, they really looked like bright, happy suns! So there you have it! A whole new use for quilled paper. I’d love to hear what other ideas you all have for these minis. Leave your comments below and share with everyone!